Because for some reason America loves us, but isn't showing us any love. I was listening to a recent episode of the Joblogues podcast when I was reminded of why I pursued my undergrad degree in journalism: “The Fourth Estate”; the frenemy of our country’s executive, legislative, and judicial branches. Traditionally, media has served as the liaison between the people and the documents that govern them. But what happens when those documents are the same ones over-policing and justifying the oppression of an American community? Racial tensions are rising in the U.S. and so is the number of stories surrounding this topic. Recently VICE produced a “Special Report” titled Fixing our System about the damage of criminal justice in our country. The Report featured President Obama’s unprecedented visit to a federal prison and his conversations with inmates as the thread that weaved the anecdotes and ugly statistical truths together. I was excited for a story like this; I watched it and tried to influence others to do so as well. But once I thought deeper, I had to question what the intentions of production were, who was the target audience? This led to me asking if I was overthinking and being too critical. Should I have been satisfied that this story was even being recognized as necessary? 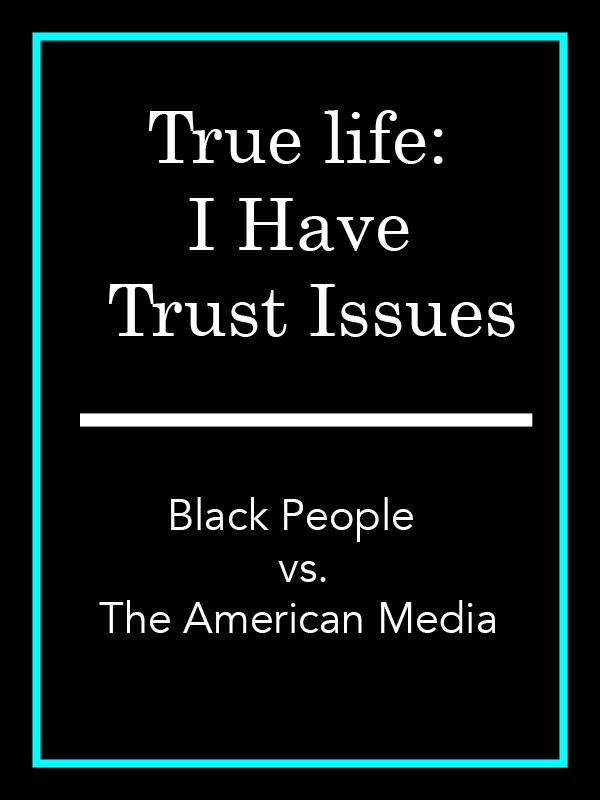 How do we trust an industry that for so long has capitalized off selling fear of the Black body, driving stereotypes and negative depictions of our community into the homes of our nation? Now that media outlets are making the attempts to switch up what stories are told and how, it is difficult for me to wrap my head around the intentions being genuine. Black voices are becoming the loudest in the room. Are the calm conversations and frustrated cries finally being understood? Or is it that because we are loudest in the room that They are afraid to have Their voices drowned out by the truth? Race is a profitable topic right now, whether that be in the form of resources or ratings, so we should be a part of this conversation. By amplifying this voice we’re putting pressure on the right people to do something about injustice against Black lives. I still haven’t come to a conclusion on which of those statements I understand to be the truth. When I originally wrote about this, I recognized that media acts as a liaison between the People and the Things The People Should Know, and for that the mainstream media should have some facilitation role in the conversation about recent injustices. Since then I’ve seen television news networks try and still not get it right where online and print publications excel in telling our stories. We watched as TV news networks turned Michael Brown’s 4.5 hours into months and played Walter Scott’s death on loop, while the Washington Post and The Atlantic allowed their writers of color to tell their stories and the stories on the ground. The myth that journalism is objective died around the same time that Michael Brown did. While Black people have known this truth for some time before that, Americans of all colors were now forced to recognize the broken facets that comprise our American Dreams; a government that has created laws, written and unwritten, that disproportionately impact Black people in an imperfect pairing with media that feeds us criminality as a connotation to Blackness. The media was never objective. Stories of police brutality and the oppression of Black Americans are being pushed through the media, yet I have to question why and what will it change. I admire the origins of journalism for the watchdog sensibility, but it seems that the only thing the industry is watching now is it’s own back, and not the backs of those it was established to protect.